Social networking site Facebook appears to be rolling out a restructured format to the way its users view ads, which are now being placed atop the sidebar on the right-hand side of the page. Ticker, Events, and Birthdays now play second-fiddle, appearing below the ads on the sidebar. Furthermore, some users have reported ads shifting above Timeline profile’s navigation column in the right sidebar. The move is said to increase visibility, thus bolstering revenue from key advertising hotspots. If you’re looking for real-time updates in the Ticker feed for example, you may instead find yourself looking at the ads. Moreover, if the ad space is continually shuffled around, users can unwittingly be manipulated into looking at ads more often, as opposed to becoming aware of their position and simply just ignoring them. More clicks mean Facebook can charge higher premiums to advertisers, thus increasing the already expansive rainy-day fund Mark Zuckerberg has accumulated. 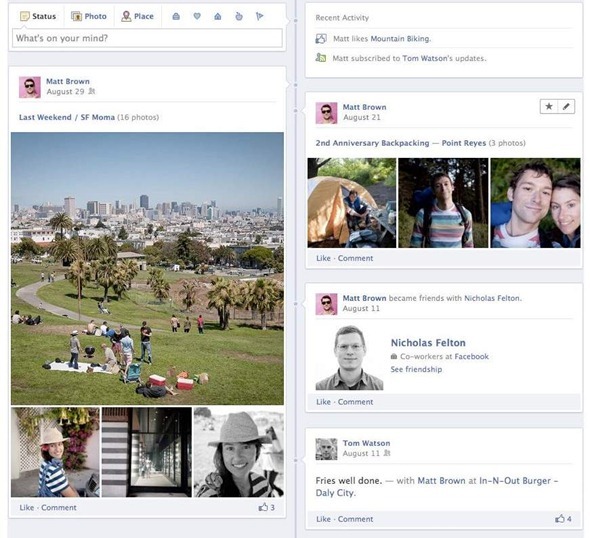 The move is somewhat out of the ordinary from Facebook’s point of view. It tends to pride itself on user friendliness and functionality, and the whole point of the Ticker feed – released in the massive update back in September – was so users could see all their updates in a unified manner without having to flit between "News Feed" and "Most Recent", which as we all know, was of incessant annoyance. By prioritizing ads and placing pivotal features underneath the ads, users are more likely to miss important information, such as birthdays or events. Many users rely on Facebook for – if nothing else – remembering birthdays of friends and relatives, so one suspects that smothering these areas with big, bad adverts may not leave its user base smiling from ear to ear. It’s key to remember that only a few users have currently seen any of this purported redesign, so it could just be a pilot that never makes it to the big screen. But the fact that they’re even being tested suggests to us that Facebook is willing give advertisers a little more free reign, while pocketing the fruits such a stance will bring in the process. Do you think it’s greedy, or logical? Is Facebook right to throw a couple more ads into our faces, or should we throw the book at them? Please leave your comments on our Facebook page!